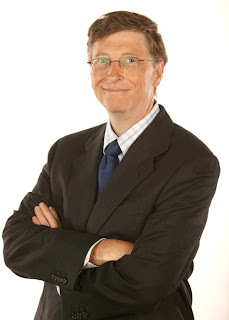 William Henry Gates, called Bill, was born on 28th October 1955 in Seattle. He is the son of William Sr Gates and Mary Maxwell. He comes from a well-off family. Bill has always been very clever and curious. At the age of eight, he read the World Book Encyclopedia. His father sent him to the prestigious Lakeside School in Seattle where he studied maths and sciences. In 1968 he discovered the Teletype machine developed by General Electric and wrote his first program to play tic-tac-toe. Later, Bill learnt how to write programming languages, such as BASIC and FORTRAN. Bill and some of his friends were hired to find bugs and testing computers for a company called Computer Center Corporation. When it went bankrupt, they continued writing softwares and analysing traffic data for other companies. Then Bill faced his first tragedy. He lost his best friend Kent Evans. Bill was devastated. When he was in his last year at Lakeside, he was allowed to miss classes to write a program with Paul Allen to control the Bonneville Power Administration’s electricity distribution grid. After his senior year, he scored 800 for maths on the SAT. He was accepted at Harvard. There he studied advanced math, Greek literature, English, social science and organic chemistry. But he didn’t often attend the classes because he preferred to go to other lectures just for fun. In 1975, the first personal computer, MITS Altair 8800, was launched. Bill and Paul Allen decided to write a program for this machine. Then, they also created together a company called Micro-Soft. Their partnership was aimed at the creation of a new lifestyle: a computer useful for everybody in everyday life. In July 1980, they worked with IBM on “Chess”, a secret project that is behind an operating system called “MS-DOS”. However, the system developed with IBM remained too difficult for many people. In 1985, Windows 1.0. was released. This version included well-known programs such as Paint, Windows Writer, Calculator or Notepad and enabled people to use the mouse. 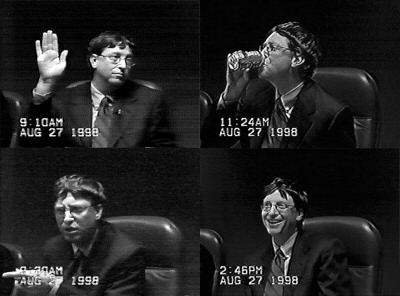 In 1995, Bill became aware of the great power of the Net. The first version of Internet Explorer was launched the same year. From the 1990s onwards, other Windows versions have been released. Each of them is characterised by improved visual graphics, higher speed and better connectivity. The latest version, Windows 7, was marketed in 2009. In the 1990s, Bill Gates was under pressure when the American Federal Trade Commission accused Microsoft of breaking the antitrust law. Nevertheless, Bill reached an agreement to prevent the company from being broken into two separate units. In 1994, Bill married Melinda French in Hawaii. Now they have three children: Jennifer, Phoebe and Rory. Bill was number one of the Forbes list of the World’s Richest People between 1995 and 2007 and in 2009. In 2011, Bill’s wealth totalled 56 billion dollars. He is also considered as the fifth most powerful person in the world. 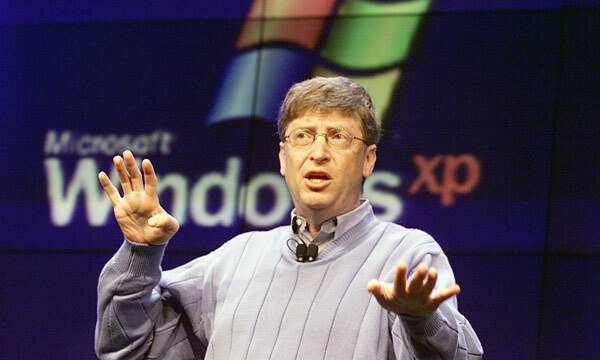 In 2008, he left Microsoft but remains a non-executive chairman of the company. Now he devotes himself to the Bill & Melinda Gates Foundation. Its aims are the enhancement of healthcare, the reduction in poverty in the world and the improvement in public education in America.